I remember entering Cork City Hall in 1980 – I was just 14 and I was going to my first concert …Thin Lizzy! It was the most incredible experience and to this day I still remember the floor bouncing as Phil Lynott and his brilliant band whipped the capacity crowd (and me) into a total frenzy ..what a night. That was a funny year when everything started to get serious – a few months later I had the Inter Cert (the first of the big, state exams) and after that it was all about figuring out some sort of a path that would take you to a job. I always worried about getting a job – it could be in my make up that I’m a worrier and maybe it all kicked off when my dad was made redundant from the B&I, a ferry service that operated between Cork and Wales. It was on my mind. This weekend I found myself back in the City Hall for the annual Cork Chamber dinner – the pinnacle of functions for the Cork business community. 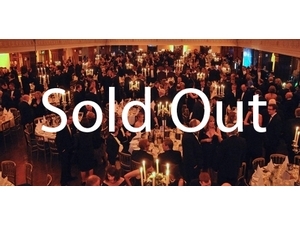 This is a huge function that invariably is sold out every year even with tickets at €150 per person. I remember when I was younger being in awe of these business functions with all of the men in their black formal suits and here at 47 I find myself as one of them. We drink our glasses of sparkling at the reception, a band is playing that no one can hear, we have our networking “radar” in operation (who do we want to talk to this year? ), we mingle and chat, we stand in for a photo, we take our seats in the Millennium Hall (this is a secondary room as the crowd is so big). We get a lecture about sitting down from a headmaster type of an MC, we look up at the sponsor logos, we can win an iPad, we rise for the President and other VIP’s, we eat our food, we listen to the speeches (they go on way too long and people just start chatting), we hear about the 5 D’s of business and what to call a Bishop, we see videos and business awards are presented, we hear a good comedian, we eat our beef and drink our wine..
“What did you think of the speeches?” , “How is business?“, “Who do you work for?” “What do you do?“, “Where were you sitting?“, “Here’s my card?“, “Is this your first time?” …we chat at the bar, we buy drinks, we are bought drinks, we tweet that we are there, we chat on the way to the loo, we chat on the way back from the loo, we chat to the people we already know and we meet some new folk. The hours pass by and a few get a little worse for wear ..one guy falls off his chair, another is stumbling, someone is chatting to me but he’s a little drunk (must get away) ..someone says something inappropriate to my Dee (the male/female ratio is about 90/10 so the women end up getting a lot of attention!) – time to get the coats. The staff look pleased that a few more are leaving! “Who’s going to The Clarion for a drink? – Ah come on” ..Oh God, It’s nearly 4am (you know there’s no point but you still go there). I’m in a taxi on the way home. I look at my tux and my shiny shoes and I think, It’s official – I guess I’m all grown up now.. I had a good time but think I prefer the songs when I was 14 ! This entry was posted on February 3, 2013 at 8:27 pm and is filed under Entertainment, Personal development. You can follow any responses to this entry through the RSS 2.0 feed. You can leave a response, or trackback from your own site. Great post Greg ! 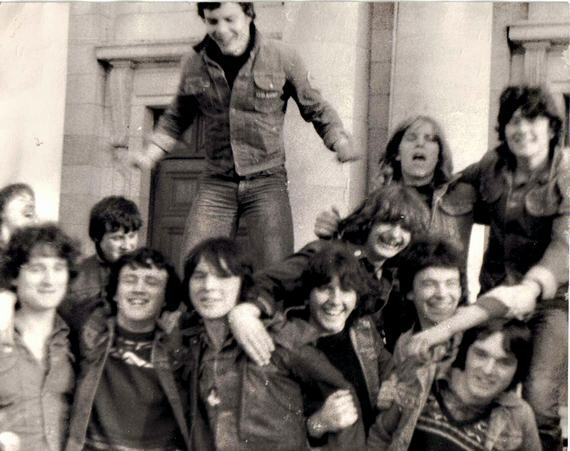 My better-half was at that Thin Lizzy concert in City Hall when he was 14 too (trying to spot him in the photo but no joy!) . Have a great week ! I was also in City Hall on Friday night and my first concert was also in the 80’s in city hall: It was Status Quo, their FIRST end of the road tour! Good story, you paint a picture very well! thanks Antoinette … I must get to a good gig !